Karen is a licensed acupuncturist, Chinese herbalist, and Reiki Master. A Colorado Springs native, she is honored to serve and bring this medicine back to her home town. 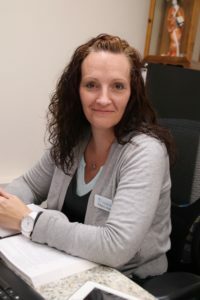 Karen is passionate about working with fertility, pregnancy, babies and kids. Helping everyone achieve health and balance physically, mentally, and spiritually. She has had her own experience with the painfulness of infertility. Acupuncture helped her to have a family, now she works to help others do the same. She was introduced to acupuncture in 2008 while working with dogs experiencing pain and paralysis. She became fascinated with acupuncture and realized she had to go back to school. She found that acupuncture helps with infertility and decided to start getting treatment while in school. A beautiful baby was born about half way through school. She took a short break and then started up again, finishing school in summer 2015. 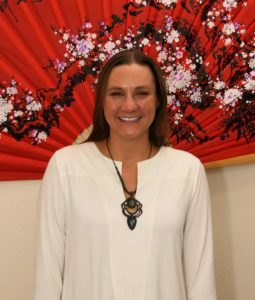 She graduated from Southwest Acupuncture College in Boulder, Colorado with a Masters in Oriental Medicine. 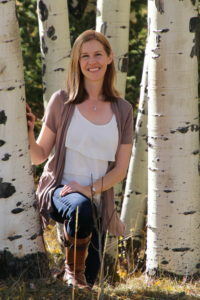 She is a Diplomate of Oriental Medicine and a Licensed Acupuncturist in the state of Colorado. Her Oriental medical training includes thousands of hours in acupuncture and herbal class and clinic work at Southwest Acupuncture College. She also has hundreds of hours of additional training in pediatric acupuncture, fertility, and medical qi gong energy healing. She received her first degree Reiki certification in January 2009, and completed through the third degree by May 2009. She has been practicing reiki ever since. Laura Clark L.Ac., Dipl. OM, Pharm. D.
In order to assist her patients to recovery, Dr. Clark uses her knowledge of specific drug interactions to apply Chinese herbal medicine and homeopathy in a safe way. She has dedicated her career to assisting her patients take control of their health through education and holistic medicine. She has been a guest lecturer at pharmacies and hospitals to discuss drug interactions, osteoporosis, migraines, and solid organ transplant medicines. Dr. Clark specializes in drug- drug and drug-herb interactions, acupuncture, Chinese herbal medicine, homeopathic remedies, Reiki, and acupoint injection therapy. Laura enjoys hiking, camping, cooking, puzzles, and is a creative gardener. Recently relocated to Colorado Springs from Arizona with my husband and 12 yr old son Hunter. We absolutely love it here in Colorado. We love being able to enjoy the outdoors and changing seasons. I enjoy running outdoors, and hiking. I hope to one day have enough courage to attempt the incline. I have worked in the medical field for the past 11+ years as well as run my own office. I love learning new things. I had my EMT in Arizona and plan on getting in here in Colorado as well. I love working with people of all ages. Making a difference in someones day is quite amazing, and something I strive to do daily. I also enjoy giving back to the community through volunteer and charity work. Currently my husband and I volunteer and coordinate charity events for The Children’s Tumor Foundation. This event is for children and families affected by Neurofibromitosis. It is a rare disorder (1 in every 3, 000 worldwide) and currently there isn’t a cure. As well as The Shoot For Hope, which is an fun 3-D archery event for the whole family. And all the proceeds go to The Cancer Treatment Centers of America. Both of these events are in Arizona, but I am working on also bringing them here to Colorado Springs as well.